I was somewhat shocked by what I read. I did not feel this was a measured response. 1. People with a looser curl - type 2 and type 3 can indeed experience very drastic changes in their natural curl pattern. There are not many type 4s who report this. So yes henna can change natural curl pattern and volume - some people do like this change, others do not. 2. Henna should be considered as a permanent hair dye and it is true that it will build up on the hair cuticle. Many people do document dry hair immediately after using henna but find that using a conditioner (deep condition or rinse out) usually fixes the issue. What has been your experience with henna? Did it make your hair feel like cement? Did it change your curl pattern? What an ignorant comment especially from someone who claims to be a curly hair expert. Perhaps Ouidad should have done her research before making such statements. I use henna and I do notice a difference in the looser curl patterns on my head (it makes them even looser). But aside from that, my hair turns reddish brown and feels less fine. WOW! That is shocking to me. I hate to say it, but it seems like an attempt to down a natural substance, maybe to keep people's hair budgets going only to them? BTW - I did not approach Ouidad for comment on why she phrased herself in this way. I do know that many hairdressers who have clients that want hair colour, really dislike henna because it is impossible to take off and therefore interferes with the colour process. Interesting, although I will say that henna does fade. I haven't done an application in a about a year and dye is gone (I'm judging this from my hair color and it's most visible on the two gray hair that I have.) I don't know if anyone else has experience this though. Thanks caribbelle - I was going to put a more detailed explanation but I decided to keep the post brief. Henna also fades when used in body art (Indian weddings!). However this is technically not thought to be fading. It is rather that the skin renews itself and the part with henna is eventually replaced with new skin without dye. It is similar with hair. The cuticle has anywhere between 5-10 layers. Over time the outside layer is subjected to heat, light, water, towels, combing etc and eventually is damaged and falls off leaving a new intact layer. If you apply henna only once, over the course of year, it will fade because the cuticle layer which has it is gradually damaged. If you kept reapplying the treatment, this fading would be less noticeable. Unbinding henna from skin or hair is possible scientifically but not practically (i.e the process is very harsh). This was certainly a great read. So great that I am going to have to share it with my twitter friends. I know for a fact that sometimes it isn't wise to always trust everything you hear. I've never tried Henna, not sure if I ever will. I am not trying to say that the article by Ouidad is correct but it has showed to me not always just up on the latest fads. is there henna is OUIDAD's heat and humdity styling gel? Oh my. I used henna for over a year with nothing but positive effects. My hair was stronger, easier to detangle and I loved the color I got from it. I recently started back using it and I cant wait for my hair to get back to were it was at that time! Thanks for all the comments again! Anon you are right the heat and humidity styling gel does list henna (I just checked on sephora). I think in order for the dye to be released it has to be at a fairly acidic pH (don't quote me on that, I have not looked it up - I am just assuming this from the fact that people use lemon juice or green tea to release the colour). In that sense henna can be in a product but not necessarily as a dye. I use henna to cover my grays and I love the strength it gives my hair. I only use it once every two to three months, because for me it can be drying with too many applications. And you're right, using a good deep conditioner after a henna application does take care of the stiffness/dryness effect. Bentonite clay is dirt, but it's rinsed out and doesn't leave color. IMO it's great, but I'd like to hear your take on it for hair. It can also be used for facials and mud wraps as you mentioned in the post. I have had henna used on me during my childhood, and it did me no harm. LOL @ its dirrrrrrrrrtttttttttttttttttttttttttttttttttttt. Hair specialists/hair dressers seem to really hate henna. For why? If you asked me a year ago, I would've said I'd never use henna because I couldn't be bothered with the mess and the time it takes-- no to mention I didn't want to change my hair color. But, I decided to give it a go a few months ago to see if it would help curb or at least reduce my breakage, and I've had nothing but positive results. Sometimes my hair does feel a but dry after rinsing it out, but it is always remedied by a moisturizing conditioner. I use henna on a regular basis now, and I cannot report any buildup of "dirt" (since that's completely inaccurate, anyway), nor can I report a change in my hair's texture. I like henna a lot. It makes my hair feel slightly stronger and adds a nice reddish tint in the sunlight. I've used it three times and I will cntinue to do so in the future. P.S. It has not "loosened" the coil pattern of my tightly coiled hair (for this, I am glad). Thanks again for all the responses and detailing your experience with henna! I have been trying to find out if henna has any sulfur in it. I am allergic to the sulfurs in the hair dyes and I would like to color my gray without any mishaps. 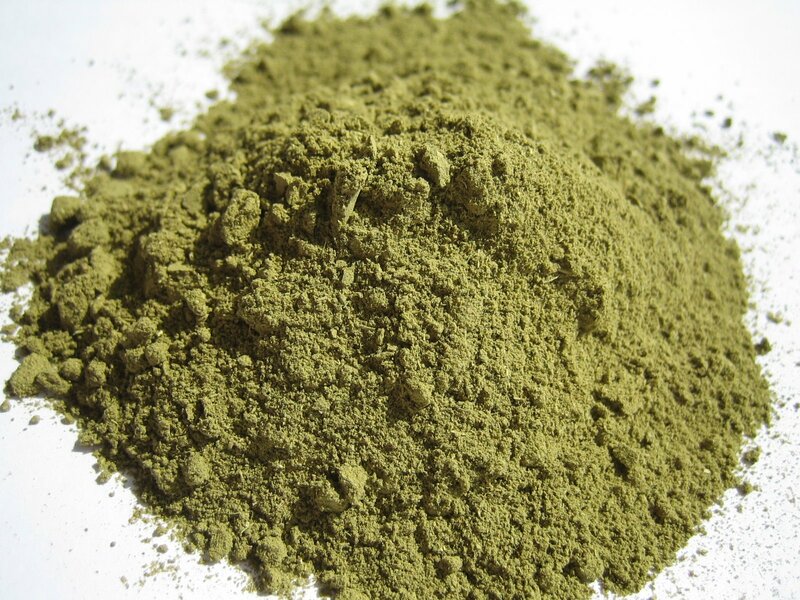 LaTonya - Powdered henna is comprised of crushed leaves and most plant leaves contain sulphur. The dye itself (lawsone) does not have sulphur but you would need a lab certified pure extract (which I have not seen on sale personally). Hi Beth - Thanks for your comment. I generally do not put up comments with links. I did want to say though that LaTonya would need a pure lawsone extract rather than pure henna. The henna leaves may contain sulphur. I've used henna once a month for just over a year. I honestly don't know whether it's helping my 4b/4a hair but it doesn't seem to be damaging it. I use it with full fat yogurt and follow with a conditioner, because it can be a bit drying. I continue to retain length, so I think that my hair is happy with it. The only downside of using it are the small leafy bits that take a while to be removed. I have been using henna to cover my grey for nearly 2 years now and it has freed me fromm using chemical hair dyes. Yes the process can be long but I have cut this down by mixing my henna in batches and freezing them (make sure you put the date on them also). When I defrost a batch I also added some honey so it does not dry out my hair too much. Woooow. Ouidad's comment was way off! I've used henna regularly for a couple years now and no, my hair does not feel like cement. On the contrary, it's thicker, softer, stronger, and shinier than it ever was without henna. It can make hair feel dry, but to combat that you have to (a) rinse and co-wash it out VERY thoroughly and (b) condition with a moisturizing conditioner afterward. I've used it while natural and while texturized (currently) and it hasn't significantly altered my curls either way. I wear my hair natural and I've used henna twice in the past 6 months and I have to agree with Quidad. First off, I had to THOROUGHLY wash my hair several times to get the henna grit out. And my hair was very dry for the following weeks, so if you do use henna give your hair an egg mask afterwards. Initially, I didn't realize the henna was the cause of my extremely dry hair, but after using it the 2nd time--I caught on. I would not recommend it to black women with natural hair--unless your hair is oily. My hair is finally manageable again. Henna really works best on people with oily hair--which is why it was created in India where many women have silky, yet oily hair. Actnaturals--they are completely natural, organic using plant dyes. You can find an ingredients list for each color on their website. It's a bit pricier than drug store hair dyes, but beauty is expensive, apparently. I use the Chocolate Mohogany and I'm happy with the results. @len - I think it all depends on your henna mix. If you use plain henna and water it's likely to be dry. But I add honey and some conditioner to my henna mix and have no dryness once I deep condition afterwards. I use pure body art quality henna and indigo to dye my hair black. I've had no problems with drying and my hair is super soft afterward. Honey is a great tip, I'll definitely try that! I usually co-wash a couple days after so that I can give the color a chance to set in. It smells like dirt, but it's far from it, Ouidad is way off, just bad. The henna that I use is laboratory tested and comes from mehandi.com, they even have a free e-book on the site with youtube tutorials. I purchased Henna for African Hair. I love henna. it has done wonders for my hair and I am loving the color that I get from it. I will keep using despite what a product maker says. As long as it does good for my hair without causing me harm in any way, I am a user for life. I've been hennaing for 7 years. It never damaged my hair. It's been the only way to really cover grey without constantly frying my hair with hair dye. It actually helps smooth the wiry texture of the greys and keep them from sticking out. I've been using body art quality henna for over a year now and my hair loves it. Breakage is reduced and my hair is super shiny. I haven't noticed any curl loosening on my 4a/3c hair. I used Rainbow Henna in the past ('90s) and it was the worst. My hair was extremely dry and it took forever to rinse it out. You have to make sure its body art quality (BAQ) henna when you decide to take the plunge. henna strenghtens the hair so mutch normaly i get 20-30 hair comeout each shower for the last 3 weeks no hair at all!!!!!!!!!!!!! come out it does not fill in the hair shaft it coats it and does not build up and still allows products to get into the hair and nourish it. hair dressers hate this because you dont need to buy there 80 quid hair dye jobs and 20 pound route toutch ups and damage repair conditioners. the similar reason why ouidad dont like henna because with box dyes you need to use alot of deep conditoner and smoothing products thats how they get paid. also henna smoothes the hair and reduces frizz whitch makes less need for styling products and makes the hair so soft as well. this is how they think dammaged hair = deep conditoner + styling products + special conditioner and shampoo + leavin conditioner + protein condtioner(whitch henna is an to alternative as well!) + spllitend sealers = big profit ££££ well for them anyway. ouidad must be upset because she's not getting as many customers as she would like. so many are finding ways to care for their own hair naturally without buying overpriced products that really don't do anything. Every hair is different and although in the begining I loved the results of coloring my hair naturally with henna, two months ago I had to stop using henna. After using henna for almost two years, two months ago I had to stop using henna. Henna has completley changed my curl pattern. My hair now is very oily and completely flat. Henna is too heavy for my hair. Any ideas how to fix this problem. How can I remove henna from my hair. Thank you! I agree with the comment about henna feeling like cement if used too much. I initially was blown away by the added volume of my hair after using the indigo henna for the first few times . That volume would go away after a month and I was somewhat addicted to it and I kept applying it to my hair once a month, eventually the volume affects wore off after a couple of weeks and my hair became very waxy and stiff feeling, I didn't think of the cement description but that is really how it felt. I almost cant stand it, my hair is limp and feels like it wont absorb any deep conditioner I put on it. It is like I dipped it in wax. I may end up cutting my hair really short just to be done with this disturbing feeling. Maybe there is a difference between regular red henna and the dark indigo henna. My hair is shoulder length and although I love the idea of henna it is become somewhat of a bad experience for me. Very interesting reading the comments. I have had a very positive experience using henna for a year now. I will say that those comments that described negative experiences with henna - ie. complaints of grit, leaves and the previous comment mentioned having a mix that already had indigo in it - all of these complaints seem to be related to not having body art quality (BAQ) henna. If you go to a reputable site or company to get BAQ henna you should not experience any of these problems. I personally get mine from www.hennasooq.com but I have heard other good things about www.mehandi.com. With any product you must do your research!